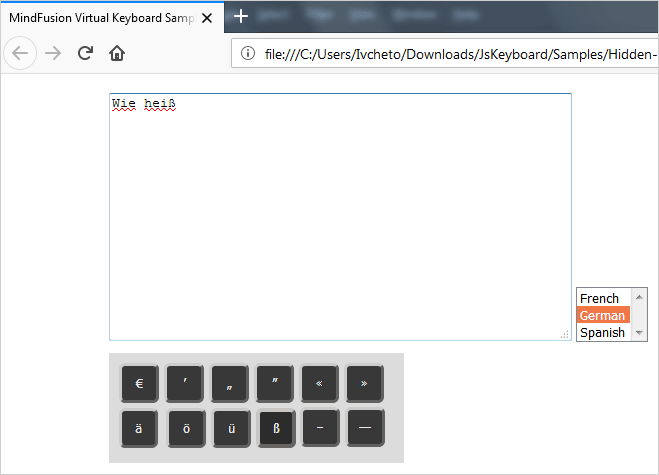 This blog post will demonstrate how to create a keyboard that renders only when the user starts typing in a text box. When the user clicks outside the text box, the virtual keyboard disappears. There is another extra – a selection of languages to the right. When a language is selected, the keyboard renders only the special symbols from the selected language. You can test the JS Hidden Keyboard sample online from this link. Each file contains an array named “numpadDef”. We need to change the name, because we will load each list when a certain language is selected, which means we must be able to differentiate among the languages. We rename the lists to layoutDefFr, layoutDefDe and layoutDefEs. The next step is to load the CSS file with the styling for the JS keyboard. We have chosen the Silver theme, you can choose whichever theme you want or create a custom one. elements with the keyboard, the text area and the select list. It contains code purely to align correctly the elements and we will not examine its contents. We create a form, called f1 and there we create the HTML textarea element. It handles to events: onfocus and onblur. The virtual keyboard will be rendered with fixed size and by default is not rendered e.g. it’s display is set to “none”. Then we handle the DOMContentLoaded event to create the Virtual Keyboard object. We use the div element that represents the keyboard as a parameter to the VirtualKeyboard constructor. We have provided the div element with an id in the HTML page. We also set the selected index of the elements in the language list to -1 e.g. by default no language is selected and the keyboard will show the standard English typing keyboard. 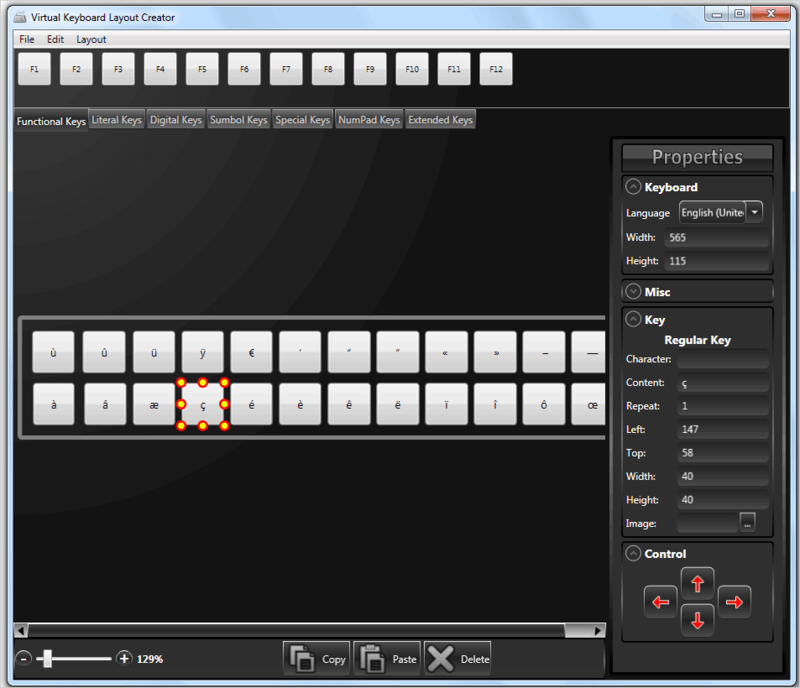 When the user chooses one of our custom layouts we create a keyboard layout with the appropriate layoutDef object.